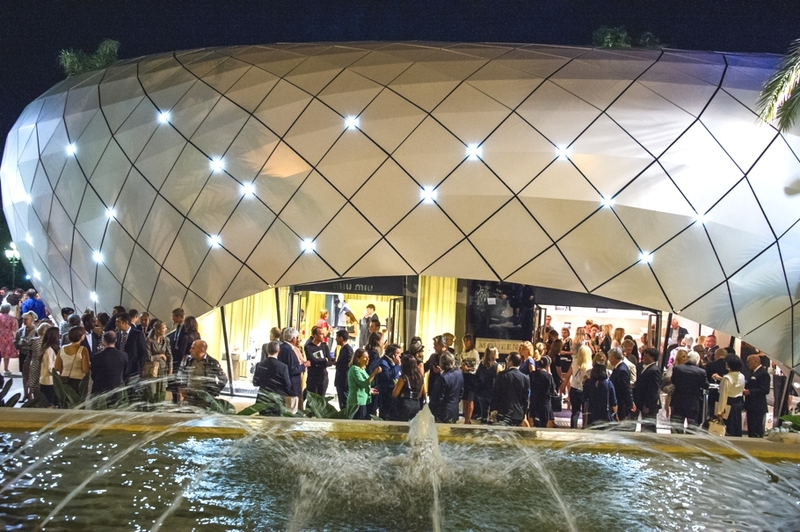 Last month, Société des Bains de Mer launched Pavillions Monte-Carlo. 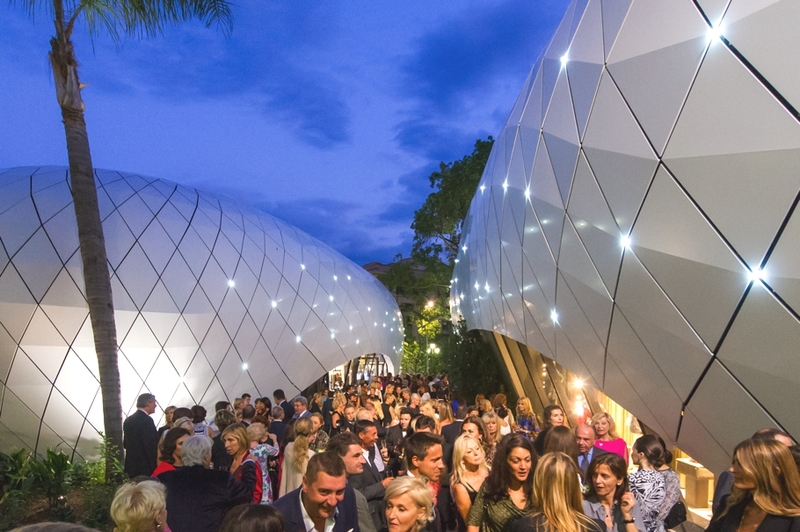 The five striking pavilions will be in place for the next four years and offer visitors a new and exclusive shopping experience in central Monaco. The ephemeral constructions will temporarily house some of the world’s most prestigious brands that were previously located on Avenue des Beaux-Arts. Shoppers will be able to view the latest collections from some of the most iconic fashion houses, including Balenciaga, Alexander McQueen, Yves Saint Laurent, Sonia Rykiel, Miu Miu and Bottega Veneta. The Group Société des Bains de Mer entrusted this unique architectural project to Richard Martinet. 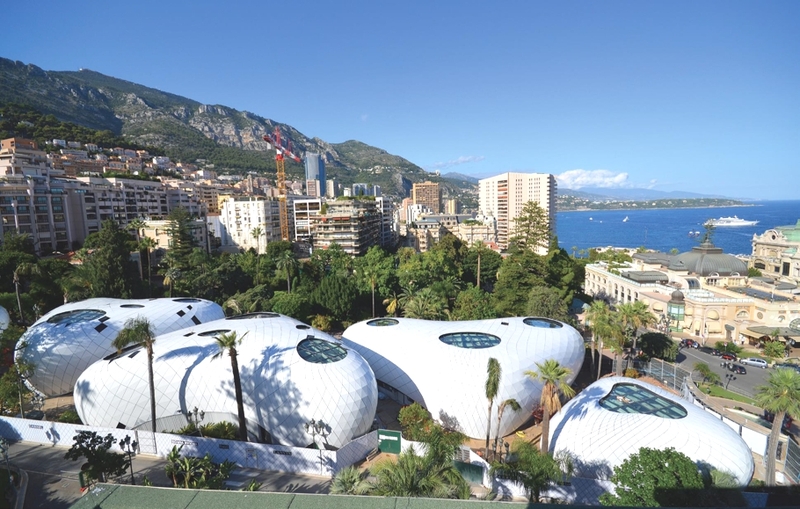 Working closely with Monegasque architect Chérif Jahlan, they were inspired by the pebbles found on Riviera beaches to design a futuristic temporary creation, accommodating 20 boutiques in round shaped pop-up structures. 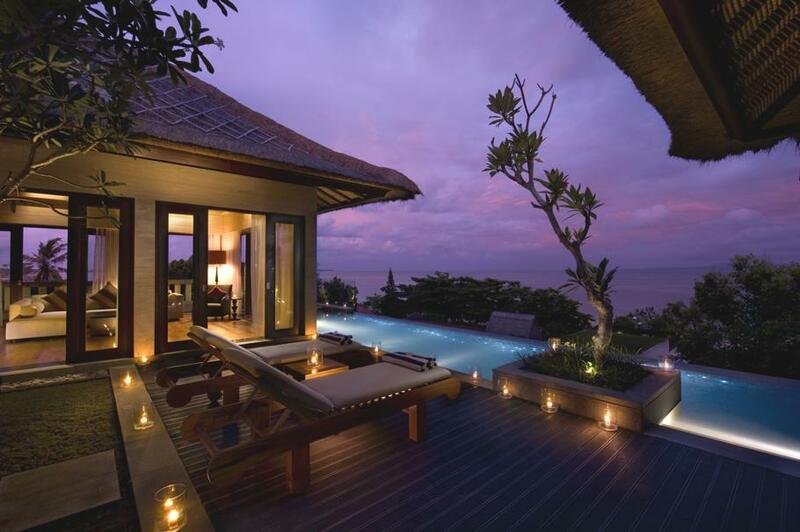 The rounded edifices, sheathed in panels of off- white aluminum, are composed of mobile units. 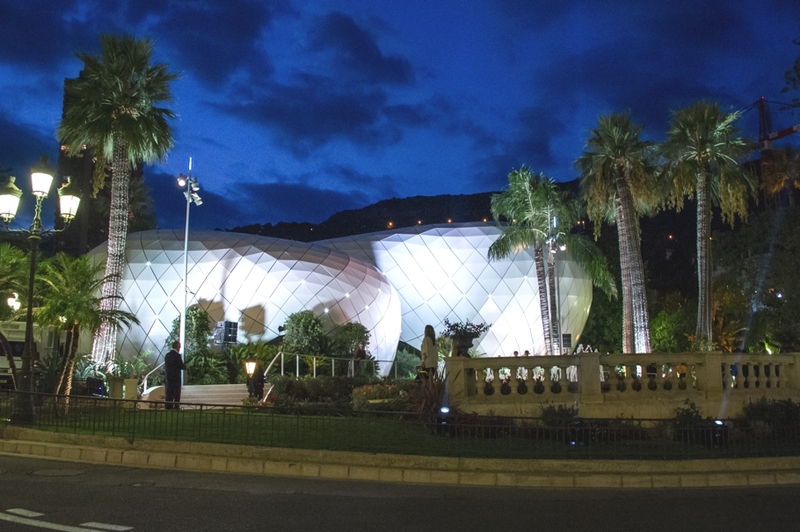 Pavillions Monte-Carlo is located in the “Boulingrins” Gardens. The name is a Francization of the English word ‘bowling green’. The garden design takes inspiration from the traditional British game that was played by many of Monaco’s glamorous guests in the 1930s. 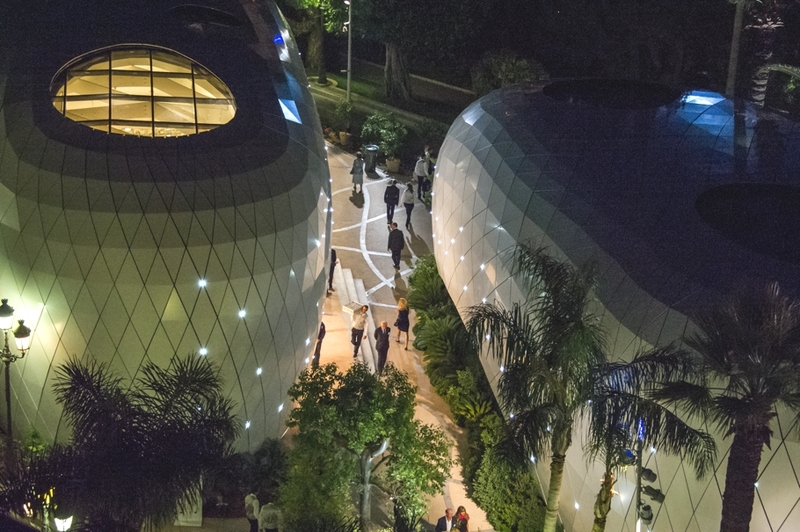 Landscape architect, Jean Mus, has successfully integrated the Pavillons Monte-Carlo into Monaco’s urban landscape by designing a lush botanical universe that merges with the Jardins de la Petite Afrique. A river-like path meanders through the shops leading customers towards the famous Place de Casino. 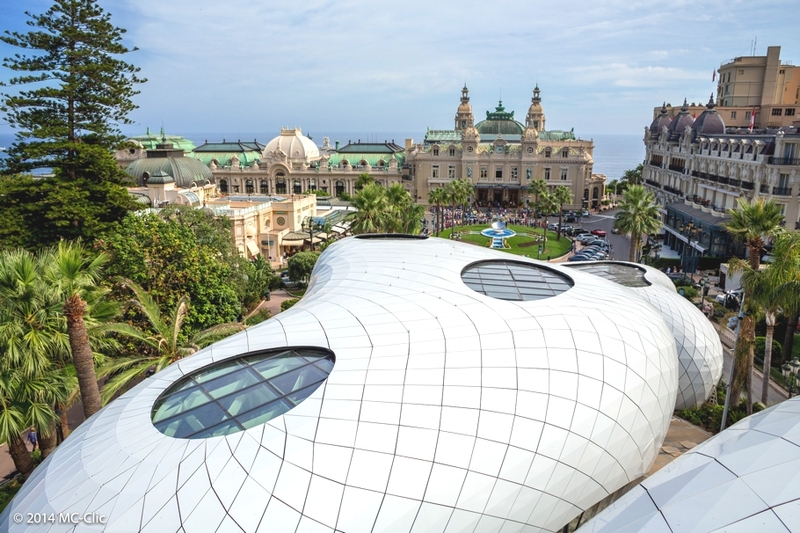 These futuristic temporary boutiques are the new must-see destination in Monaco and demonstrate the principality’s continued commitment to developing innovative ecological urban design. 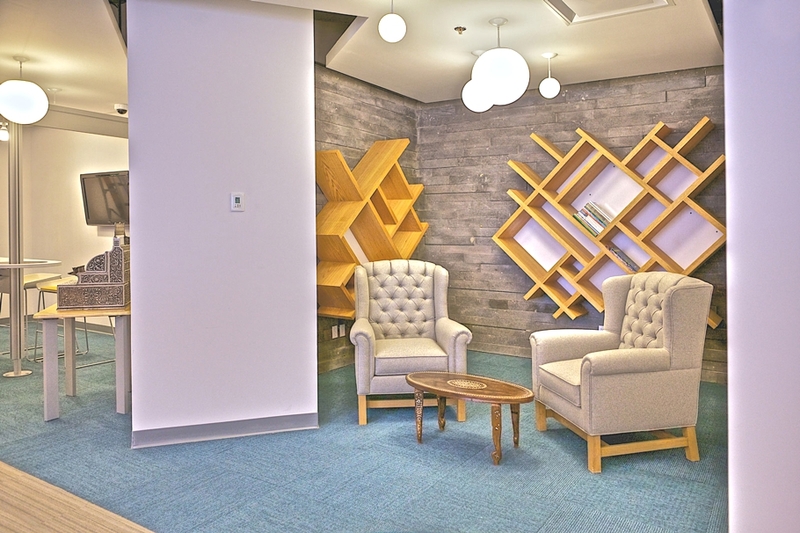 International design studio Space Architecture has designed the interior of the San Pablo Group Corporate Offices. Completed in 2011, the contemporary office space is located on Insurgentes Avenue in Mexico City, Mexico.